Redefines hybrid performance. Great sound from little 1.5-litre three-cylinder engine. Mighty through corners with effortlessly smooth acceleration. An absolute joy to drive. Tiny boot unless rear seats are used for luggage. The result? 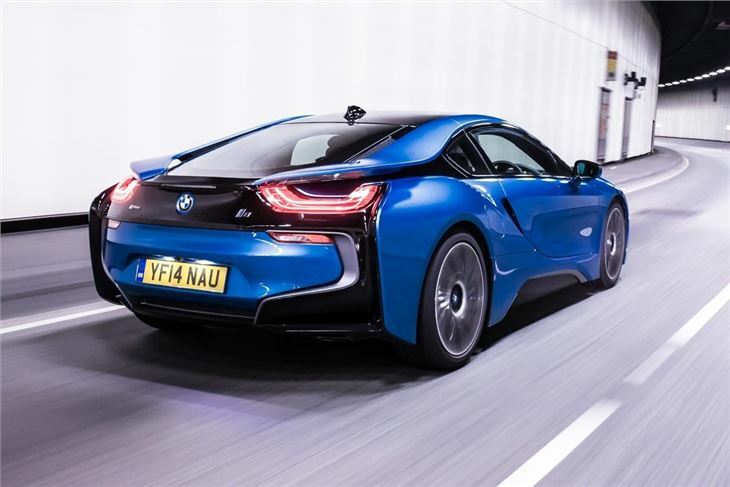 A phenomenally good sports car that sets new rules for how performance should be delivered and how a driver's car can feel. 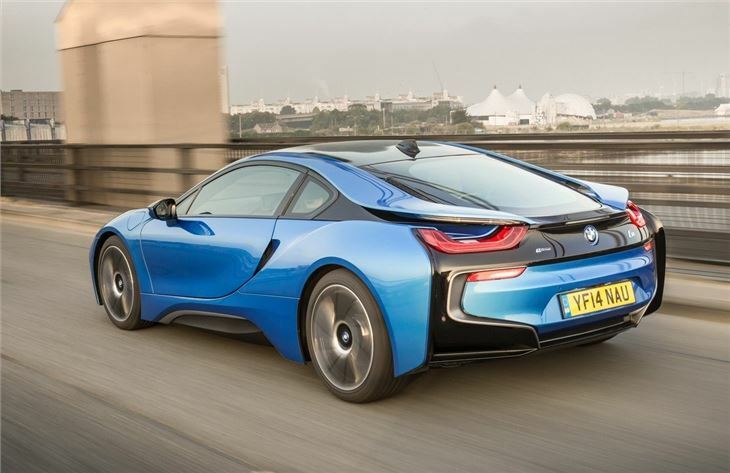 Forget the fact this is a plug-in hybrid, instead just appreciate the BMW i8 for what it is. One of the best cars on the road today, regardless of how it's powered. Of course the styling certainly adds to the appeal. 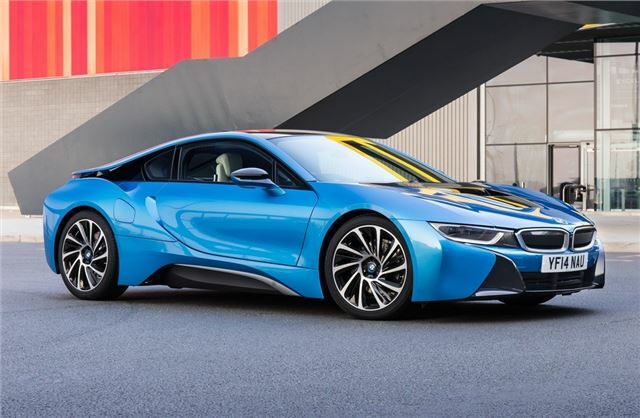 The i8 looks like a concept that's just been driven off a motorshow stand. It wouldn't feel out of place in a futuristic Hollywood blockbuster. 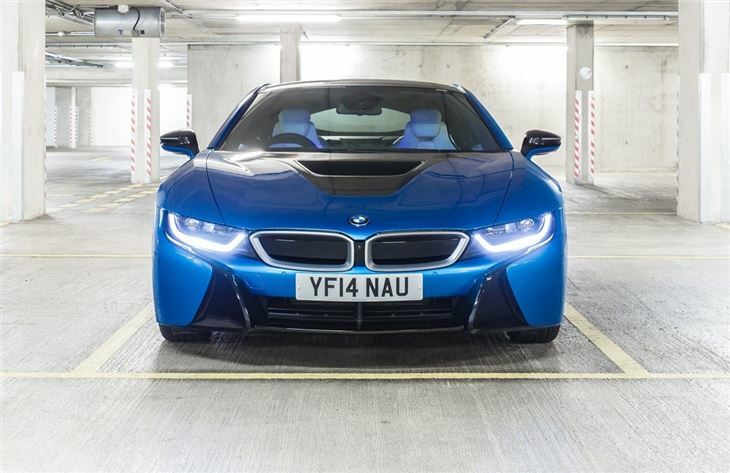 If you want a car that gets noticed, even on the streets of central London that are awash with McLarens and Aston Martins, the i8 is it. The low nose and menacing headlights flow into a fairly conventional coupe design but it's at the back where this BMW stands out. 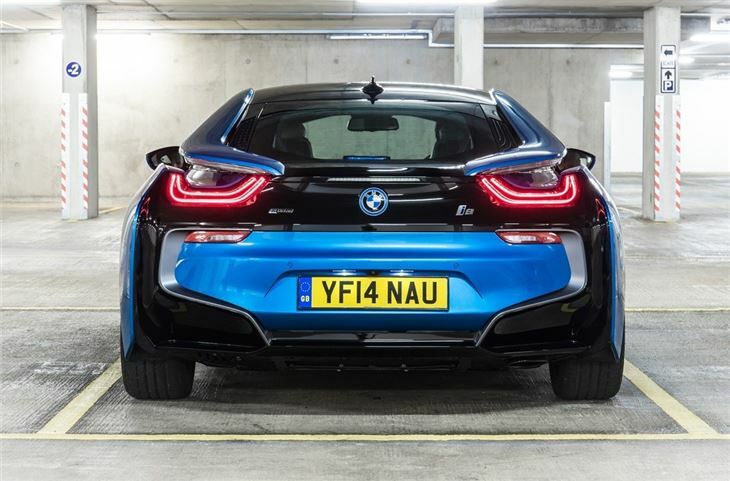 The roof panels flow down to create a floating spoiler over the rear lights. It's a car you could stand and admire for a very long time. 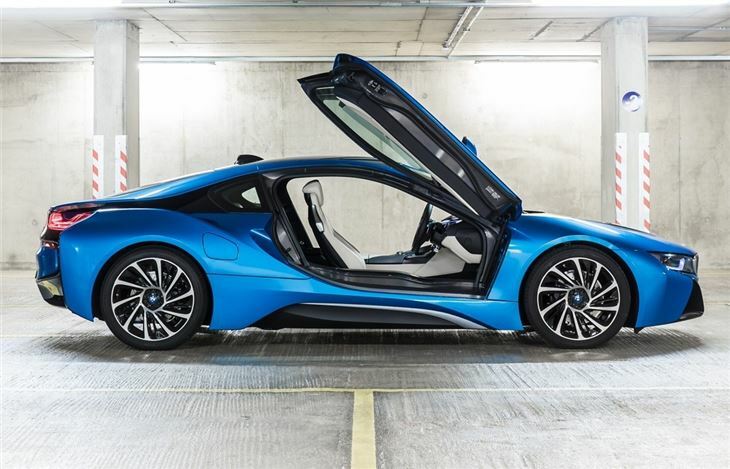 There are other flourishes too, such as the dihedral 'butterfly' opening doors which add to the feeling that this is a very special car. 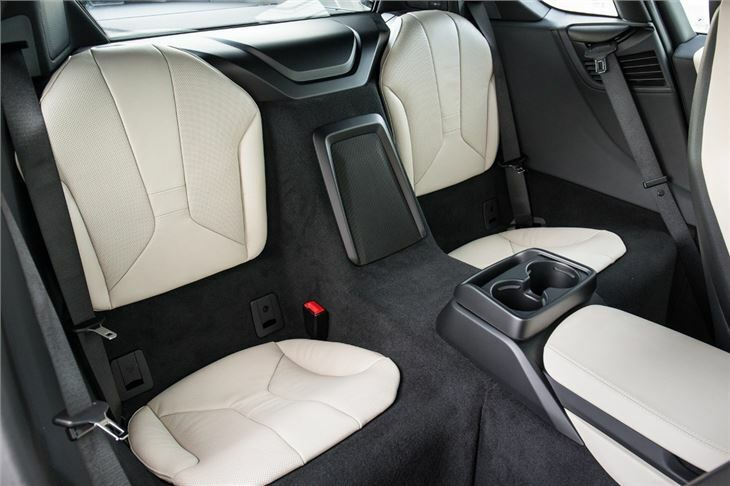 As you'd expect, carbon fibre plays a big part in the construction, from the doors to the roof and even the bodyshell, which means a kerb weight of just 1490kg - that's not much more than a Ford Focus TDCi. This light weight means storming performance. Acceleration from 0-62mph takes just 4.4 seconds - that's Porsche 911 Carrera S territory - helped by a total of 362PS and, more crucially, a huge 570Nm of torque. Of course the i8 isn't merely about performance. 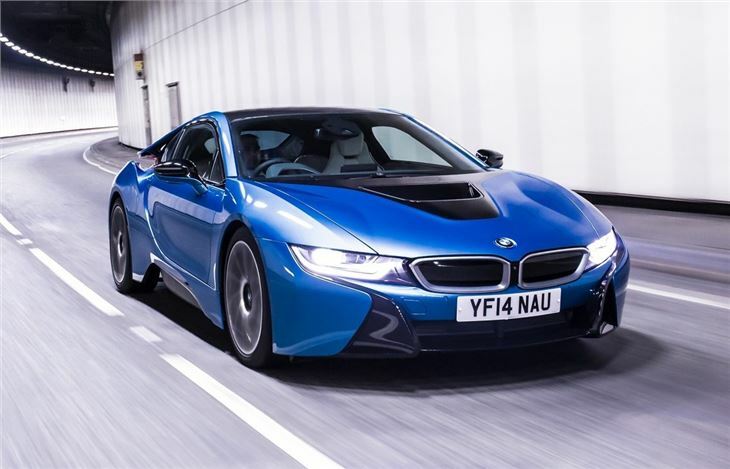 As it's a plug-in hybrid it's also incredibly efficient. 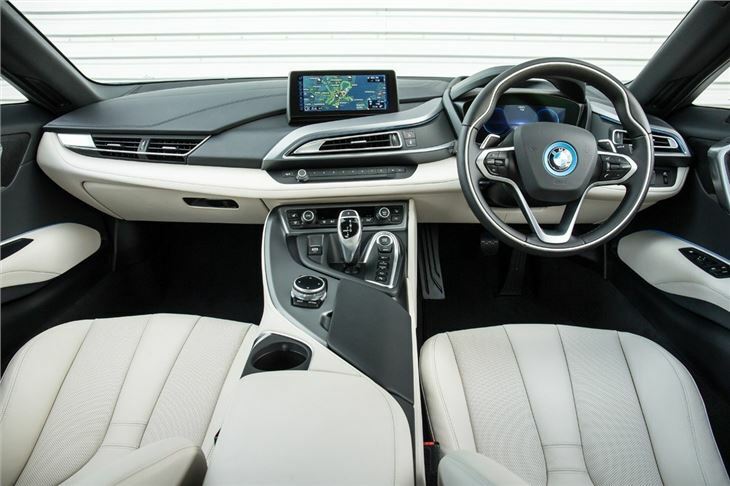 According to the official figures CO2 is just 49g/km, which means you can drive into central London for free, while average economy is a claimed 135mpg - although these figures are always skewed by plug-in hybrids. More useful is the range. 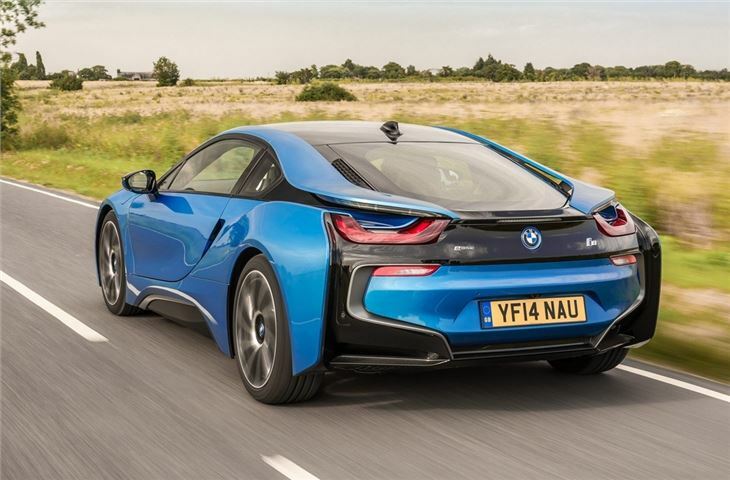 With a full tank and a fully charged battery the i8 can cover around 310 miles. And don't think that because this is a hybrid it's going to be anodyne or quiet. 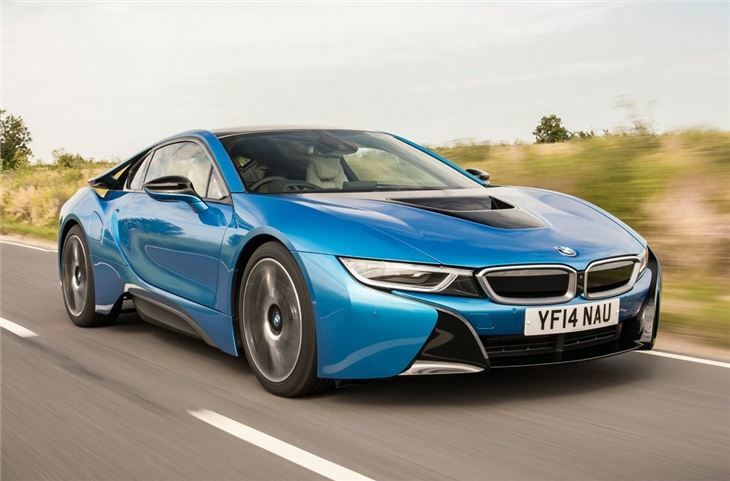 The i8 is enthralling to drive and a real joy, plus you can forget any ideas that it doesn't sound the part either. 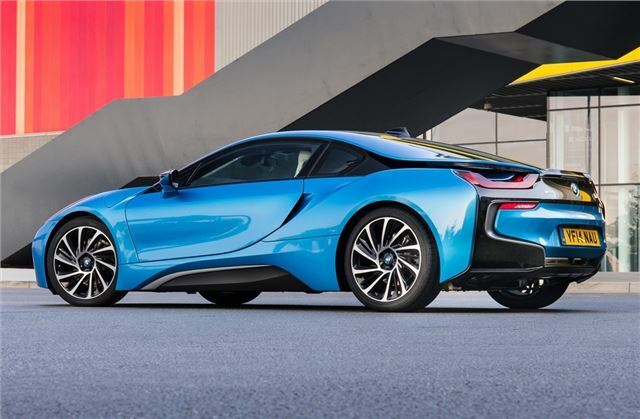 BMW has somehow managed to make that little 1.5-litre engine sound like a flat six with a gorgeous noise from both inside the cabin and out. 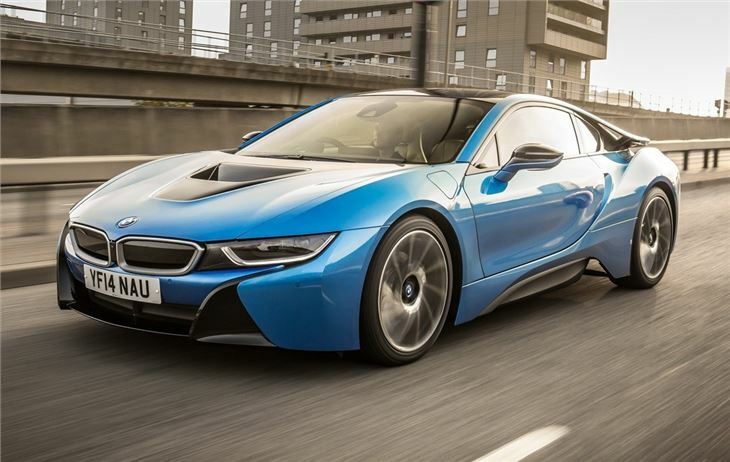 It may be expensive, but for the lucky few who get their hands on one, the i8 is a tour de force.